You're skilled in business. You're smart, you know how to make decisions and you're steadfast and patient enough to understand the importance of delivering one result at a time. You're Mr resourceful, and I'm pretty sure you're disciplined and focused. You sure didn't get this far on luck. You've learned to learn from your mistakes, and whilst you're known for your knowledge you're smart enough to know you don't know everything. Kudos to you, you've got business nailed, but it's a whole different story when it comes to your relationship. Forget being on the same page you're not even reading the same book. In fact more often than not, you feel like you're not even speaking the same language. Research consistently shows that relationships significantly impact our health and wellbeing. A good solid partnership can offer protection from illness, help create healthier habits, we can even live longer. Relationship drama on the other hand weakens the immune system, can creates stress, tension, emotional imbalance and lead to insomnia, weight issues, anxiety and depression. All impacting performance, work relationships and even lost work time. Troubled relationships erode our peace of mind and if we think we're not taking that into our professional world we need to rethink the link between our personal and professional lives. Because we're the common denominator. We might think we're leaving it behind closed doors, but we carry our internal world with us. And whilst we may have the business stuff all worked out, matters of the heart can't be avoided for too long. Regardless of how compartmentalised your life, eventually the cracks will start to show. When our personal world's in disarray it's hard to not let that filter into our professional lives. We become irritable, impatient, demanding, critical, irrational even. This is the place where we make bad decisions, snap at staff, infect our working space with the heavy energy we carry around. This is when we drop the ball. When you know what you're looking for its not hard to distinguish those who have happy lives and relationships outside of work to those who don't. I work with a lot of top exes and when we strip it back, their number one problem is their relationship. Those at the top often have the most pressure which filters into their personal relationships and then back into their professional ones. Many who've found success in business have done so at the expense of a once treasured partnership. We've learned to sacrifice love over dollars and we've become more emotionally shut down and disconnected as a result. But when careers change, fail or end through age or ill health for example, or when they no longer provide the thrill they used to, many find themselves faced with a gaping hole that no amount of previous success or money can fill. As human beings we need connection. We need to feel understood, heard, loved, respected and not just in one area of life. We need physical touch. We need to laugh, to relax, feel joy and connect back to life's simple pleasures. We need to learn how to master and enjoy our personal relationships. The climbing divorce rate and continued rising trend in mental health issues, loneliness and people generally feeling lost and unfulfilled tells us there's something wrong. Something missing. Many couples are trapped in cold, hostile, loveless conditions, barely communicating. We haven't just lost touch with each other, we've lost touch with ourselves. And if we think that isn't impacting our performance and how we communicate on a professional level, we've lost touch with reality. No matter how tight the mask, regardless of how well honed our skills of pretense, eventually we reach our inner capacity to hold the stress, tension and anguish stemming from our broken relationship. Consciousness affects matter, and that's a fact. Whatever turmoil's going on inside, along with our dominant thoughts and the feelings and emotions we're supressing, impact our reality. That personal relationships fail isn't the only problem. It's how we manage them when they do that makes all the difference. Divorce isn't cheap. And the price isn't just in dollars. Learning how to salvage our relationships or if we need to, consciously end them and walk away with minimal damage, is a skill. It takes well honed communication skills and a heart-centred approach that many haven't mastered. And its this approach that's missing in both our personal and professional world. There's a lack of operating from the heart, and I don't mean romance and flowers. We're a society that's become entrenched in mechanical heartless sociopathic leadership, we may even think is necessary to drive business. But it's a dying model. If people really are our best asset what we really need isn't just better business people but better people people. The most powerful communication comes when the heart and head are in sync. There's a revolution of heart centred practise happening in our world and it stands to bring us not only happier, healthier bodies and minds but deeper more meaningful connection and communication from the bedroom to the boardroom. Heart-centred communication doesn't just positively impact our close relationships but all relationships, including business. Better quality personal relationships equate to happier, healthier human beings which inevitability leads to greater performance and profit. And when our hearts are open and we're connected to others in meaningful, authentic ways we access an inner intelligence and power that inspires people in ways that only the heart can. 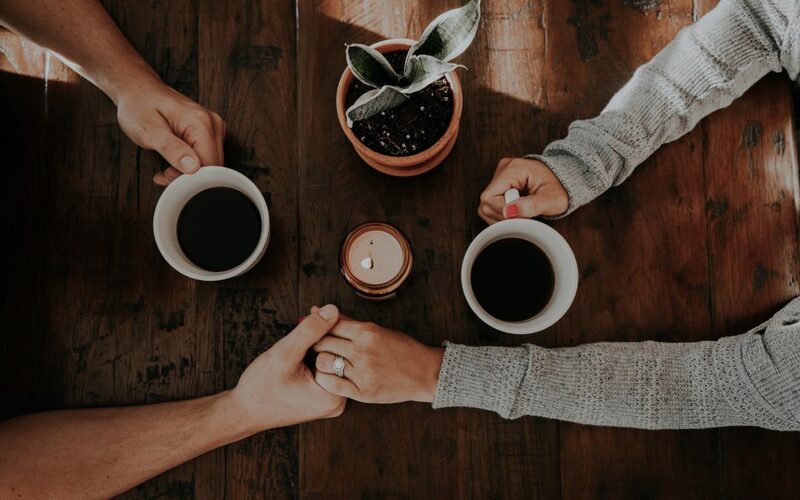 Creating heart-centred synergy in our personal relationships doesn't just help us be healthy and happy it drives our success and it impacts everyone around us. If you have the choice of being sold a product by someone whos connected into their heart and someone whose not I can guarantee who'll you'll pick, every time. And those people know how to connected in their personal relationships. The boundaries are slowly merging, and we're realising a more holistic approach is necessary not just in our personal lives but in business too. Smart business skills is one thing, marry them with heart centred people skills and the skies truly the limit. Dawn Lee is a Personal, Professional and Spiritual Intelligence Coach™ who specialises in helping smart intuitive professionals out of crisis and into clarity. She helps others create heart-centred, soul aligned synergy in their personal and professional relationships and guides them back to inner peace, happiness and freedom to live and love, fearless.